Wash and soak the dhal for 30 mins. 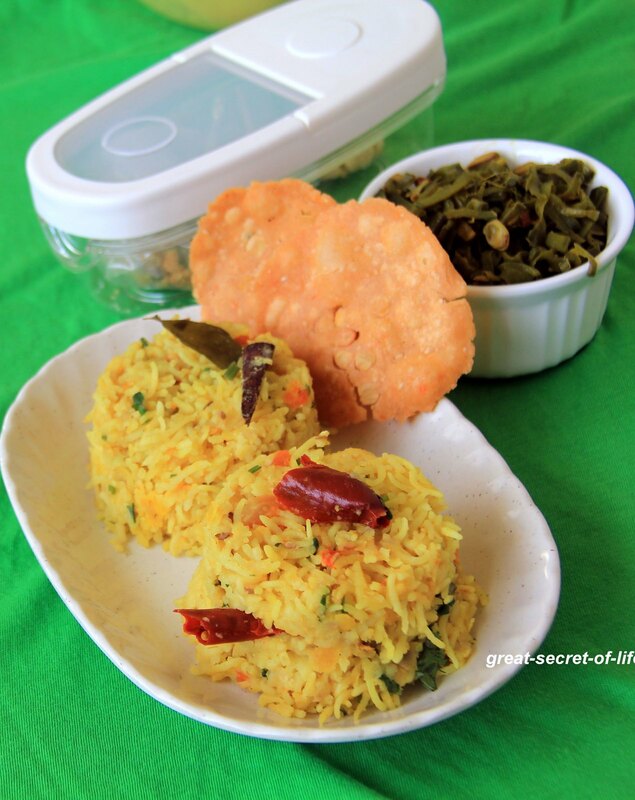 Wash rice and soak it with dhal for another 15 mins. 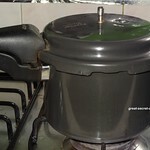 Heat the pressure pan or pan with oil. When Oil is hot add Cinnamon, cloves, bay leaves. Fry for 1 min. 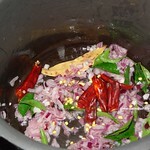 Add Onion, curry leaves, red chillies and fry till they are transparent. Add ginger garlic, and tomatoes. And fry till tomatoes are mushy. 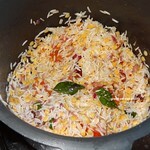 Add rice and dhal. Fry for 30 sec. 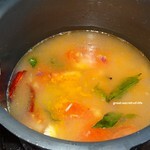 Add 3.5 cup water, Salt and turmeric powder.Mix well.Cook till 2 - 3 whistles.Switch it off. 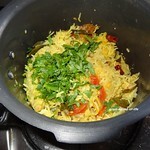 If you are using pan close the lid and cook till rice and dhal fully cooked. 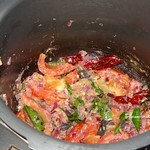 Don't open the lid till it is fully done.Once cool down open the lid and add coriander leaves and mix well. 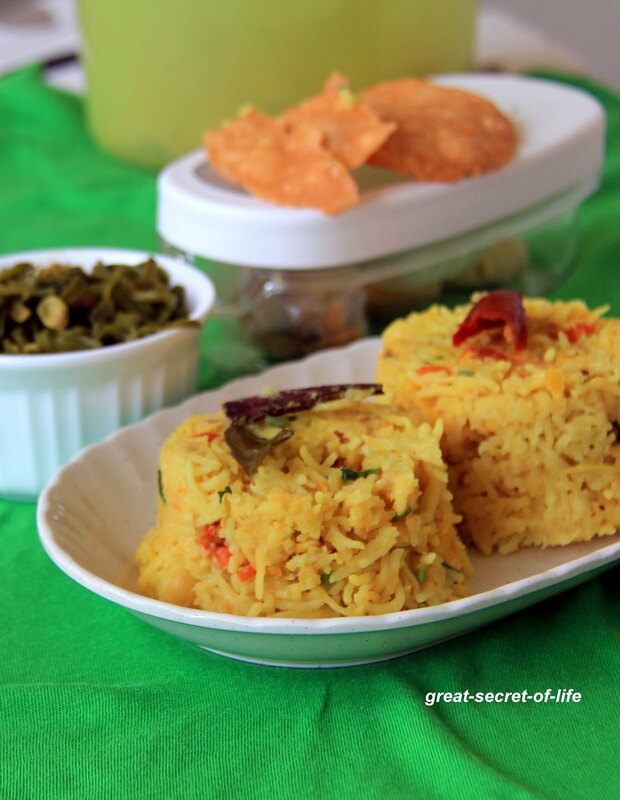 I too tried n posted kongu menu :) looks yummy ! 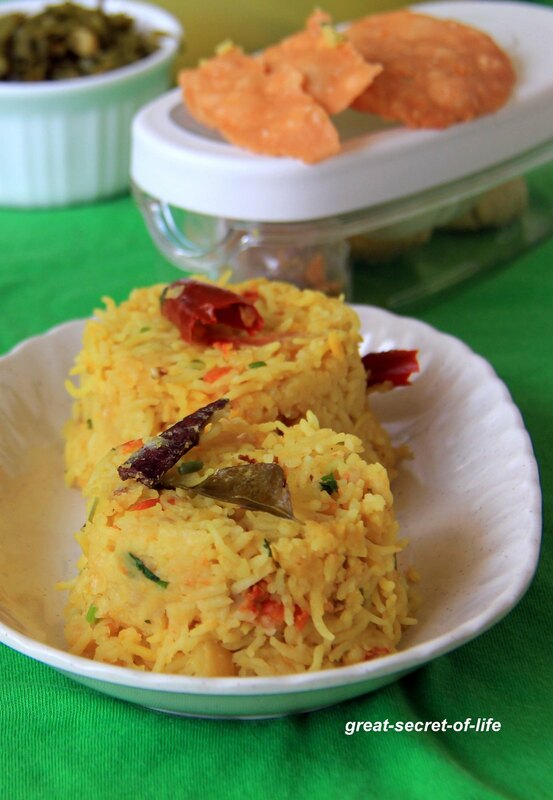 pics r eye catching n tempting rice. looks yumm.. I was planning to make it today morning but somehow changed the plan afterwards. Looking at your clicks I think I will try it tomorrow. The presentation of this is gorgeous! One of my fav one pot meal! !